Celebration of Success & Commitment to Keeping an Eye on the Future - Smarter Planning! 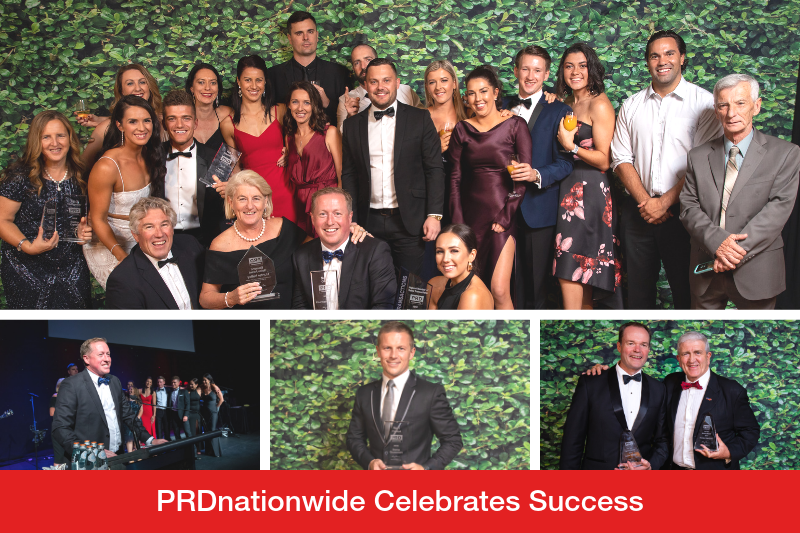 Recently PRDnationwide held its annual 2-day Forum and Conference events concluding in the PRDnationwide Annual Awards Gala Dinner, celebrating the top performers and leaders amongst the PRDnationwide network. The conference held in Melbourne - a city recognised as leading the world in liveability, served as a timely reminder that success comes from smarter planning and keeping an eye on the future. The award winners were recognised in front of more than 260 of their industry peers at a gala function in Melbourne over the weekend. Tony Brasier, Chairman & Managing Director, PRDnationwide commented that, “In receiving recognition at this prestigious annual awards event, the well-deserving recipients demonstrated initiative, exceptional results and high-level customer service during the last 12 months”. “PRDnationwide is a national network of franchise offices and property professionals across Australia. To be named as an award winner is a very prestigious honour,” he said. “The real estate industry is highly competitive and constantly changing. To rise to the top of our industry requires hard work, extensive knowledge of the property market and the ability to adapt to market shifts whilst delivering on high levels of client service”. The Awards recognise and celebrate PRDnationwide’s top performers who are the key element when it comes to local property market knowledge and expertise. Each of our offices is provided with the latest research and data, compiled by the in-house research department, to assist their clients in gaining a detailed understanding of their local market to help them Sell, Buy and Rent Smarter.